E2M has two new additions to the electric motion product line | E2M Technologies B.V.
E2M is pleased to announce two new additions to the electric motion product line. We upgraded our popular 640 mm platform to 4000 Kg payload, at the slight cost of 40 mm reduced stroke due to larger buffers: the eM6-600-4000. Furthermore we added a new platform to our lineup. 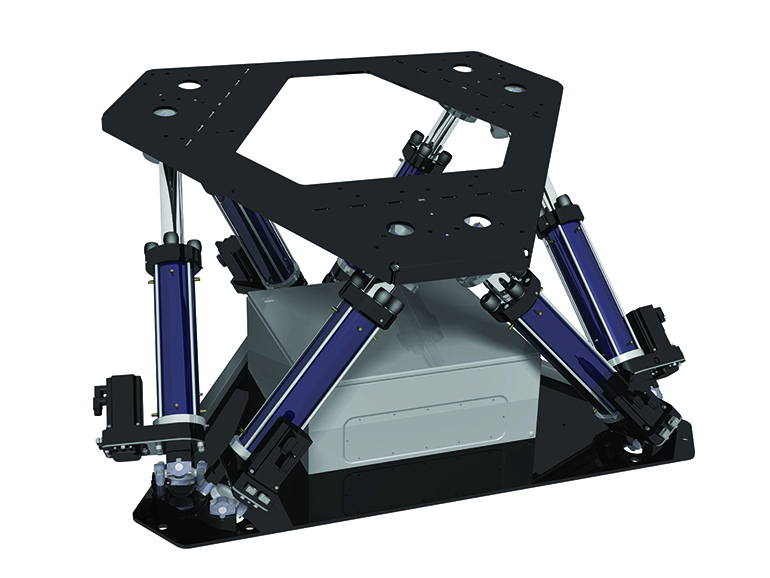 The eM6-300-1500, a very compact motion system with generous angle capability and a relative high payload capacity. Due to its compactness it is very suitable for mobile and other space constrained applications. The platforms will start shipping 3d quarter 2011. Please contact E2M for further details.